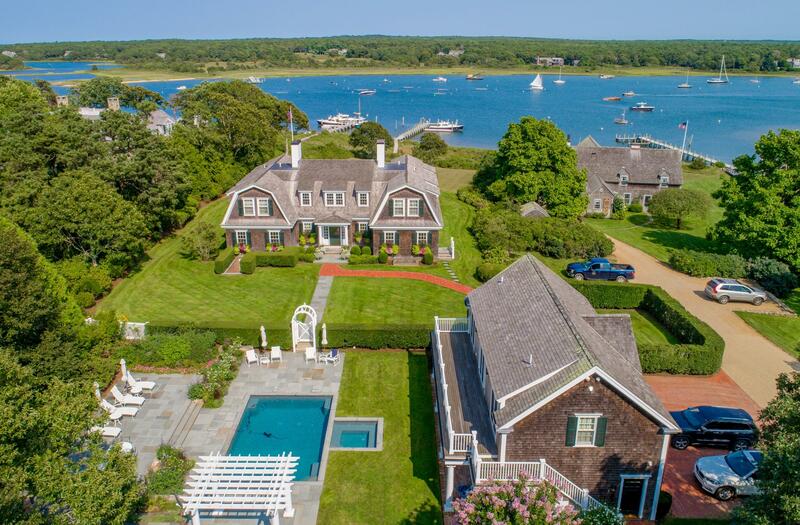 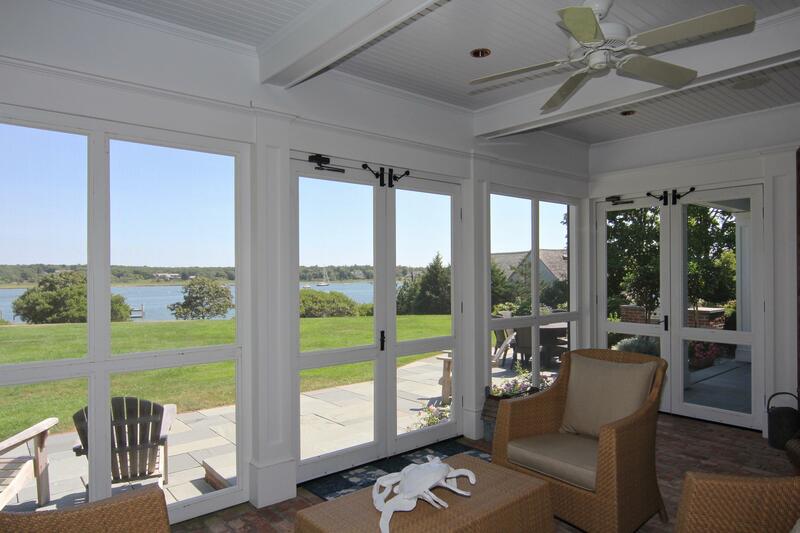 This Edgartown harbor front compound was built in 2009 and offers 3 buildings with over 7,000 sf of classically designed living space. 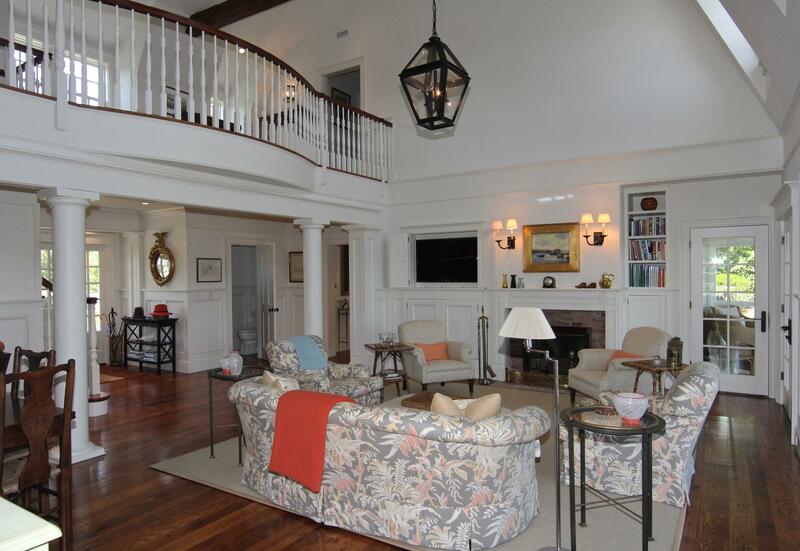 The main residence offers a cathedral ceiling living room with fireplace, large kitchen, dining room, office, den and screened porch. 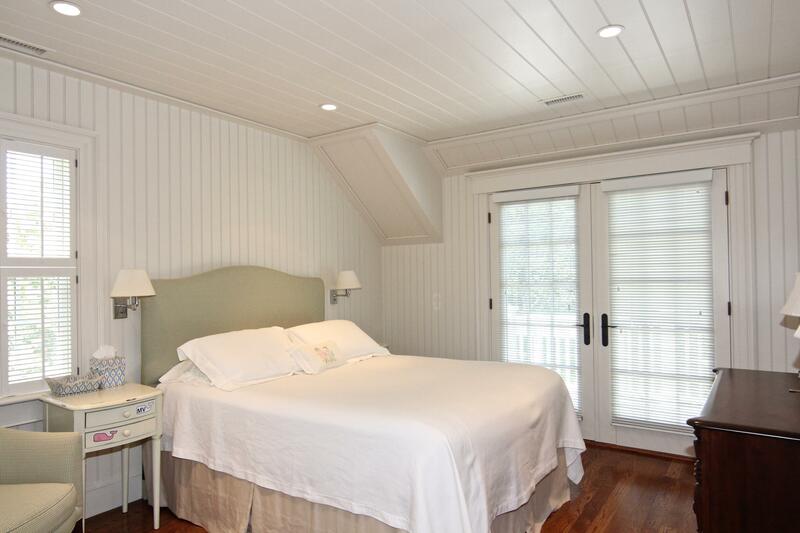 The 2nd floor has 4 bedroom suites, 2 of which have access to a water facing deck. 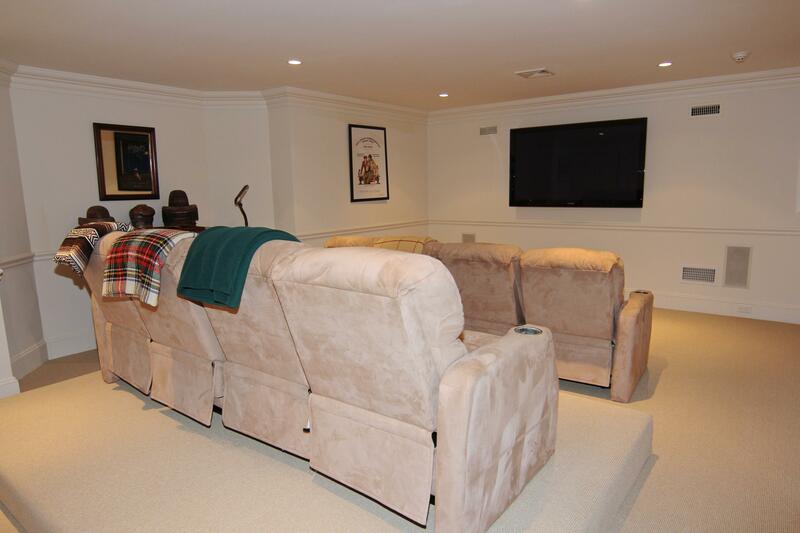 The lower level offers media room, living room and powder room. 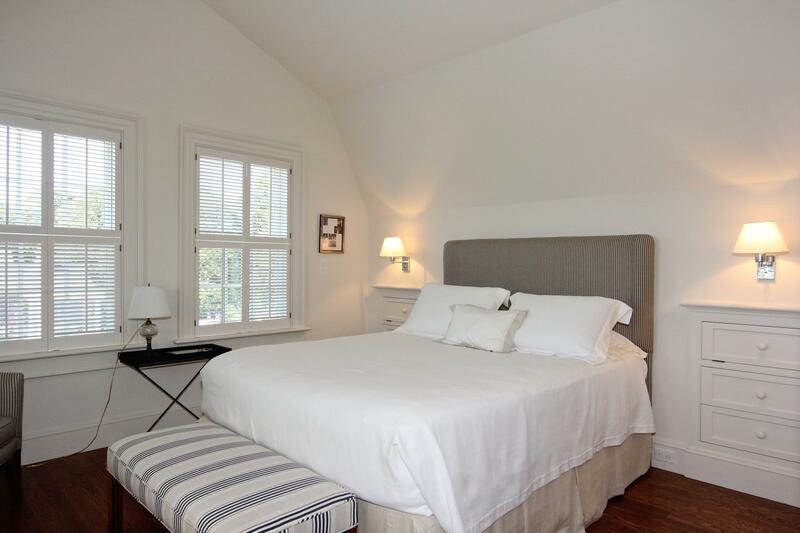 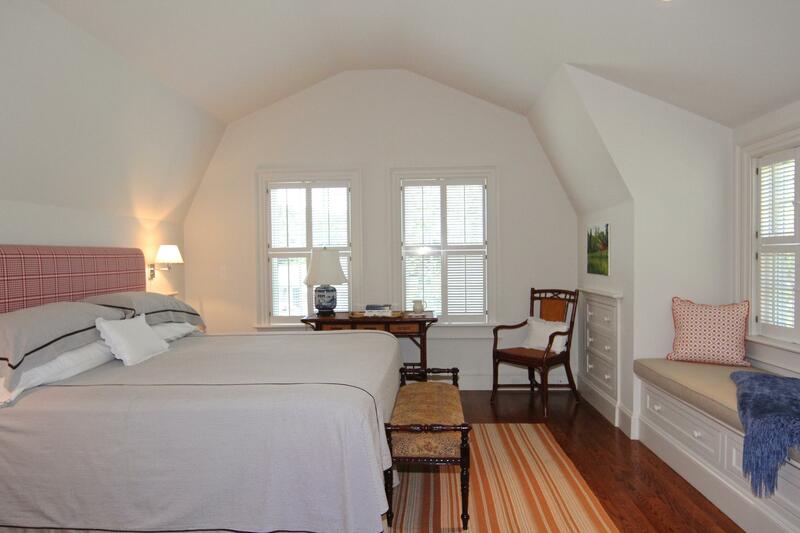 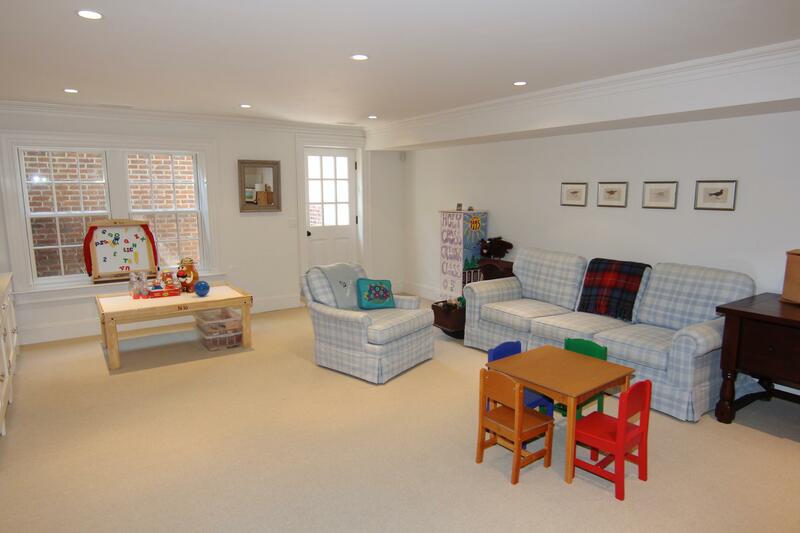 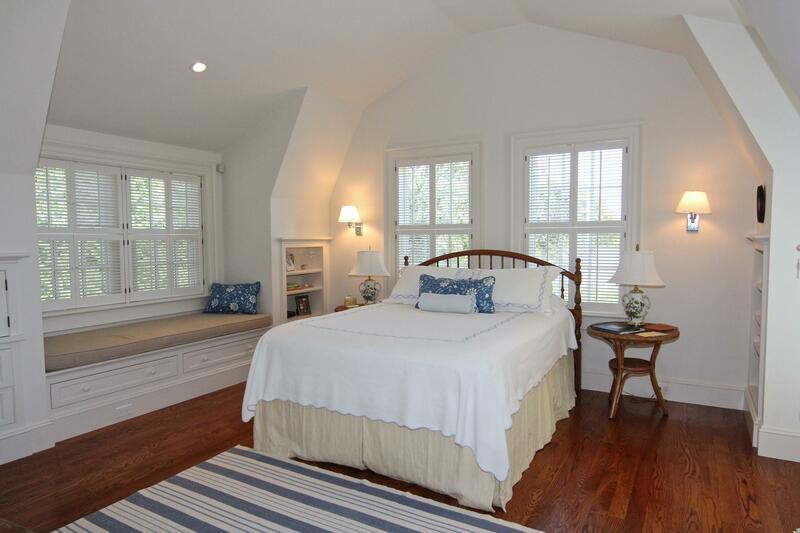 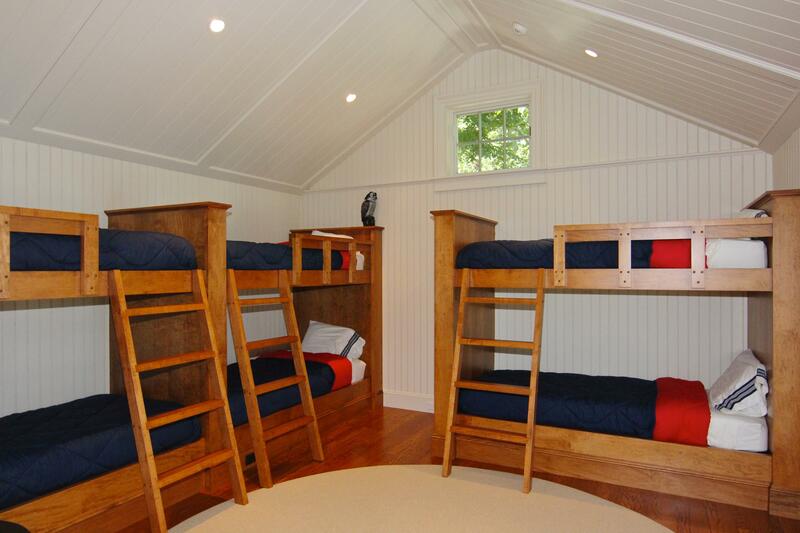 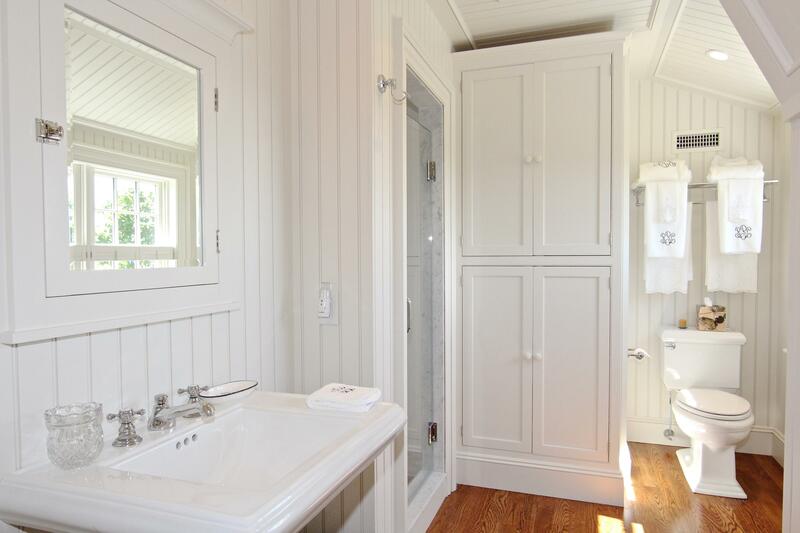 The 3-car carriage house offers 2 bedrooms and living room above. 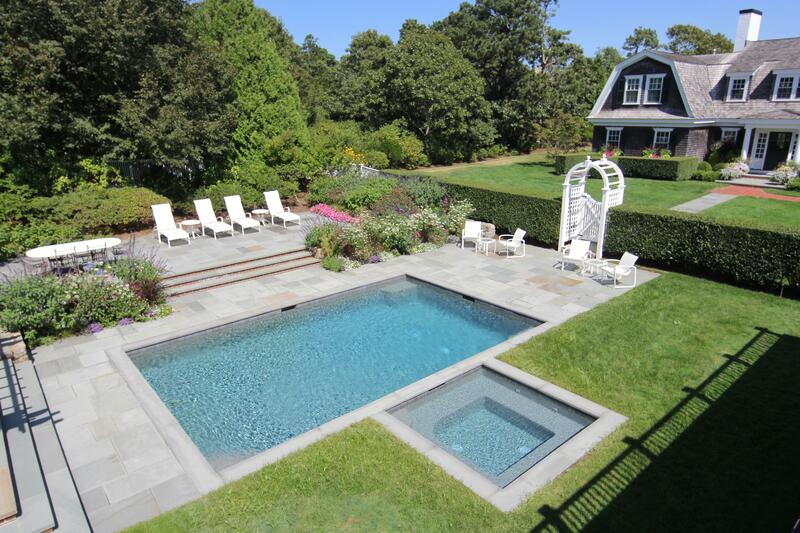 The rear yard is beautifully landscaped with large pool and Jacuzzi. 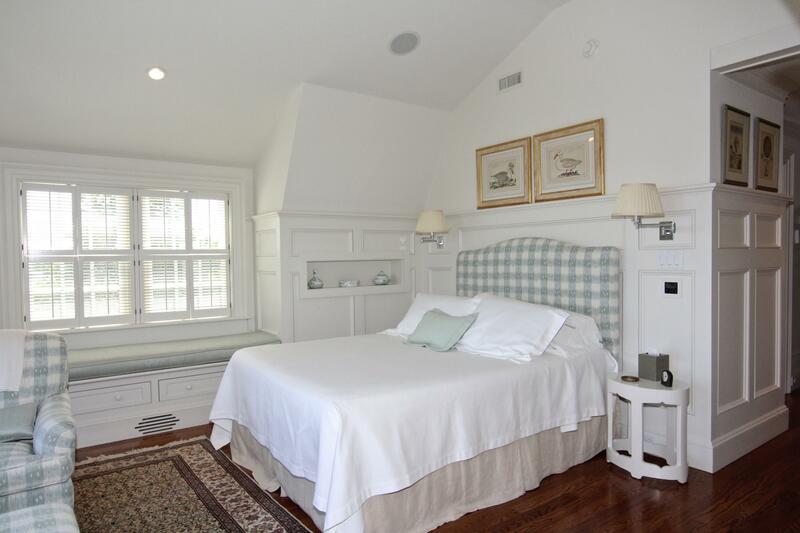 Lastly, there's a pool house with bedroom, half bath and separate laundry. 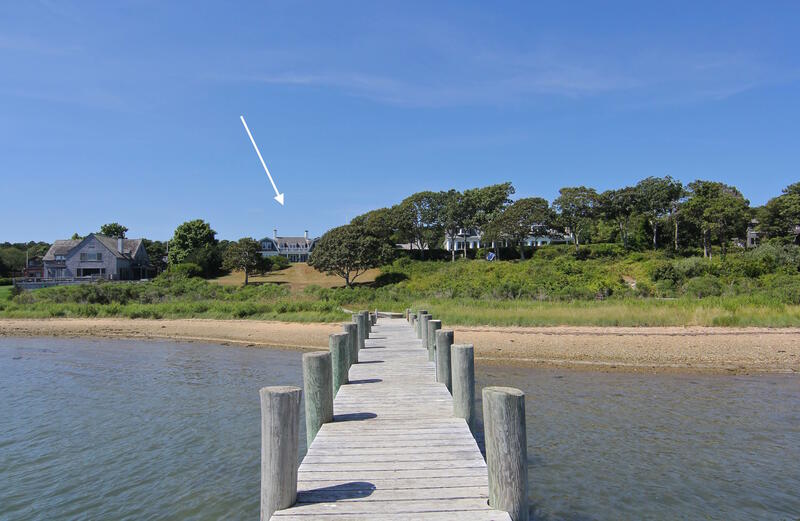 The 2.1-acres of property slopes down to 120 ft.+ of harbor frontage, deep-water pier and mooring. 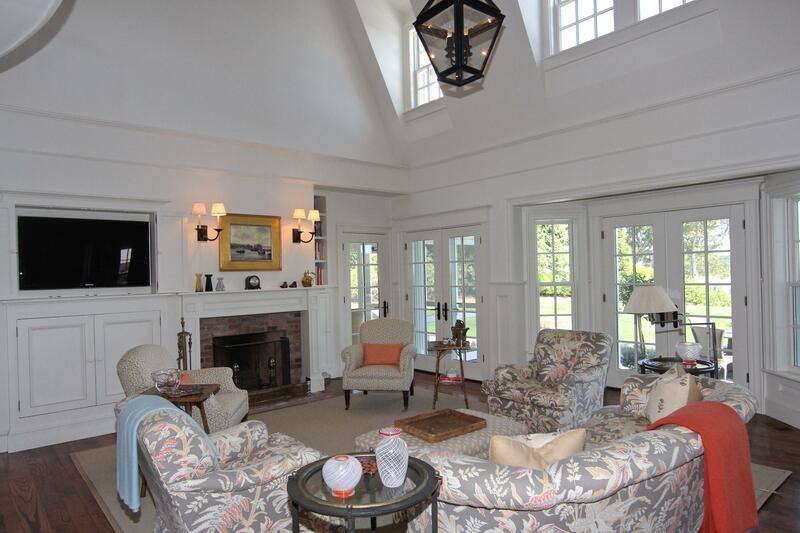 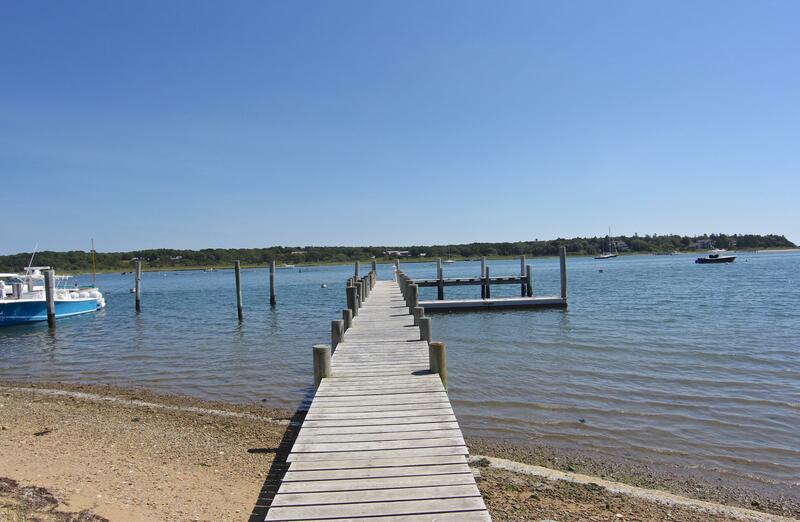 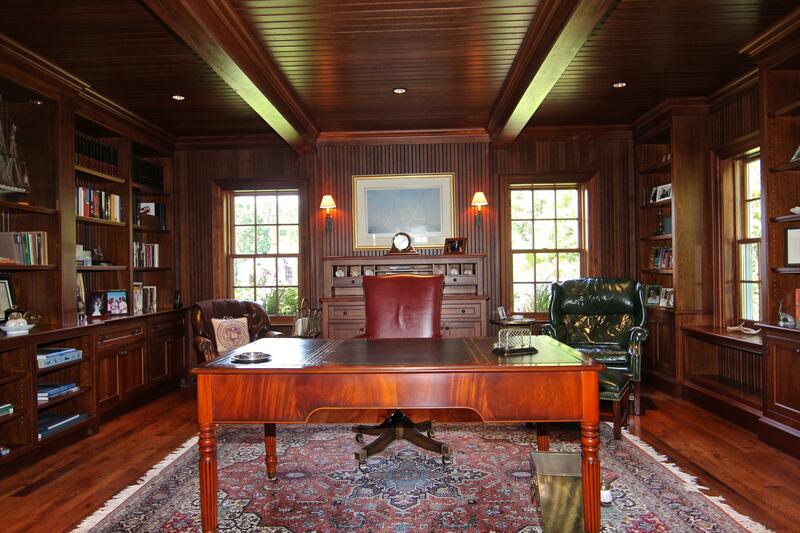 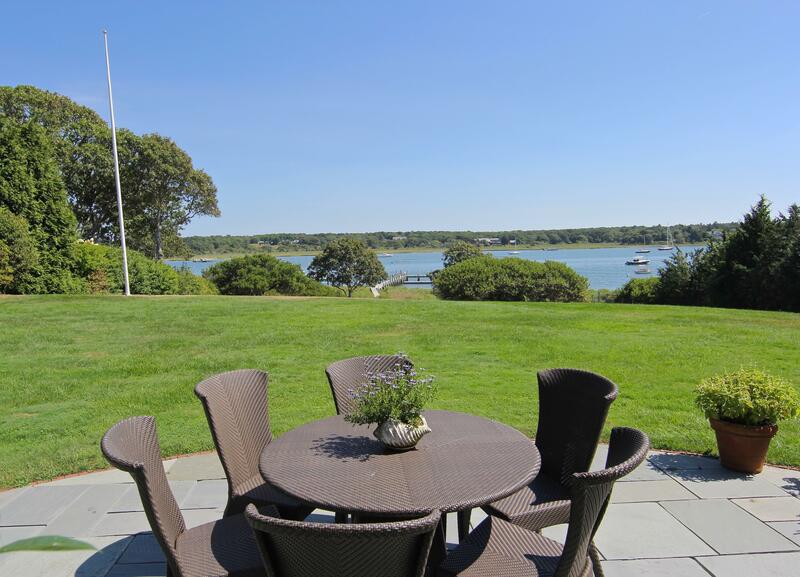 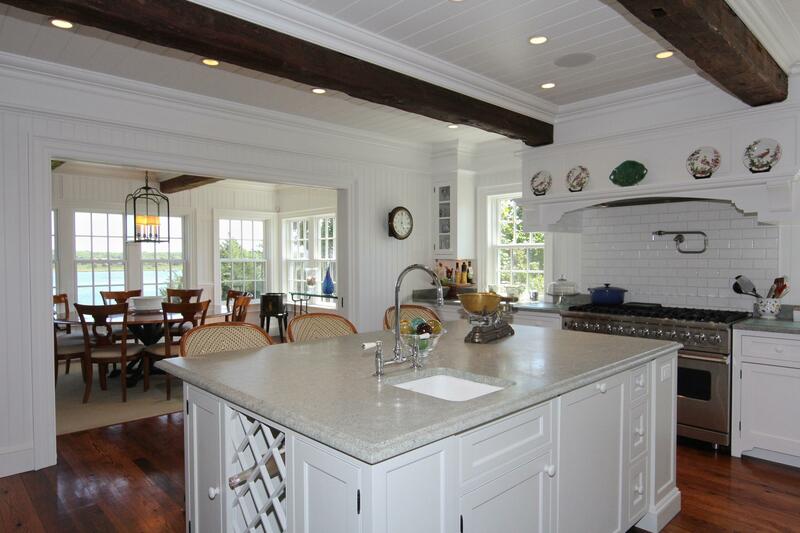 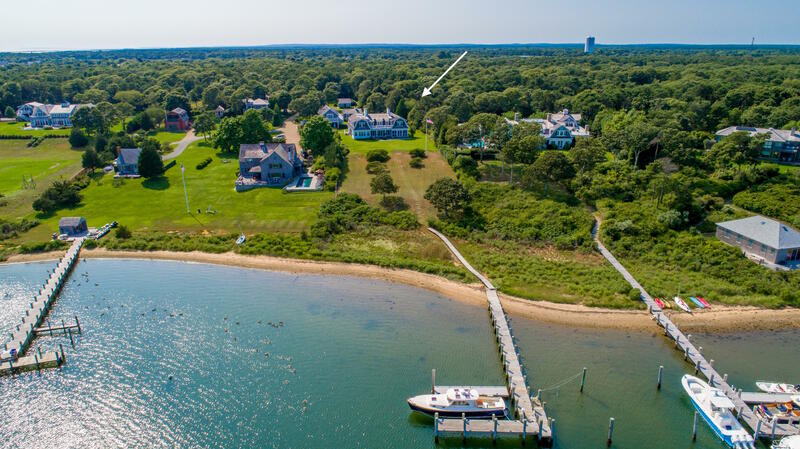 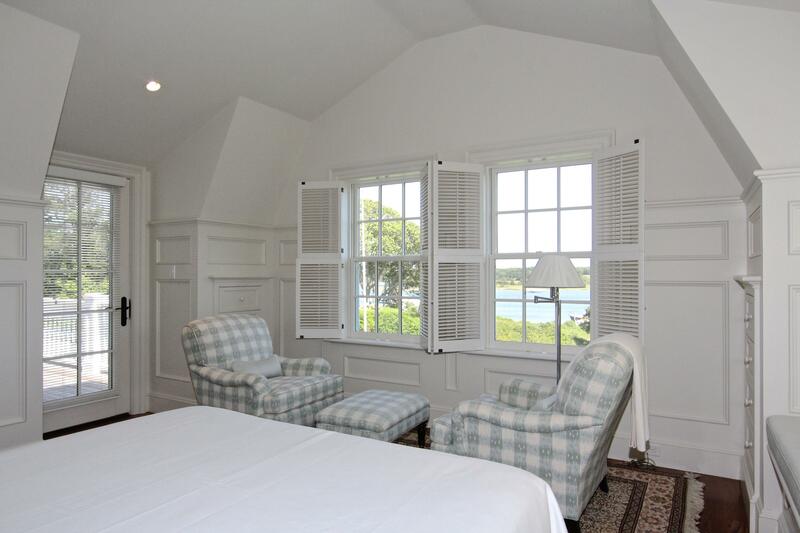 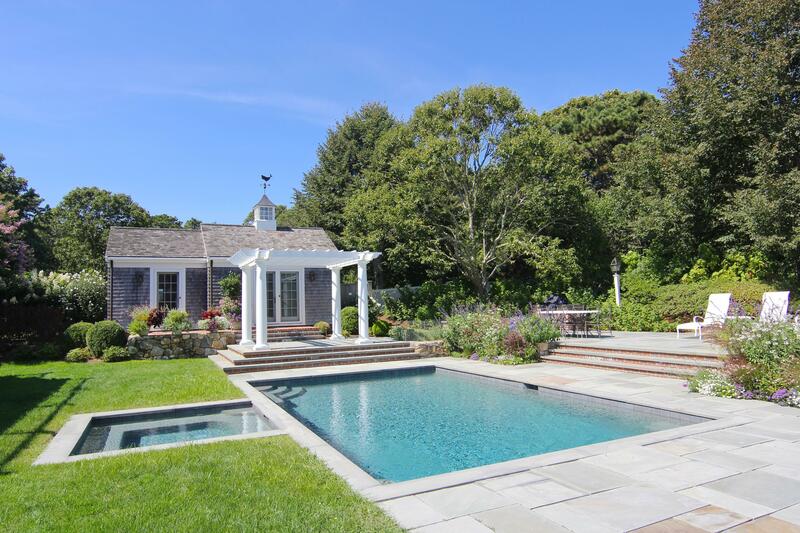 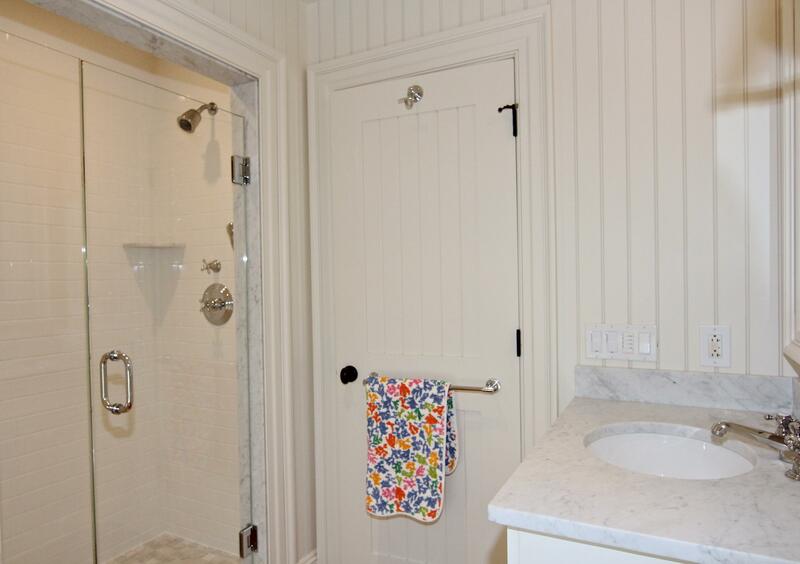 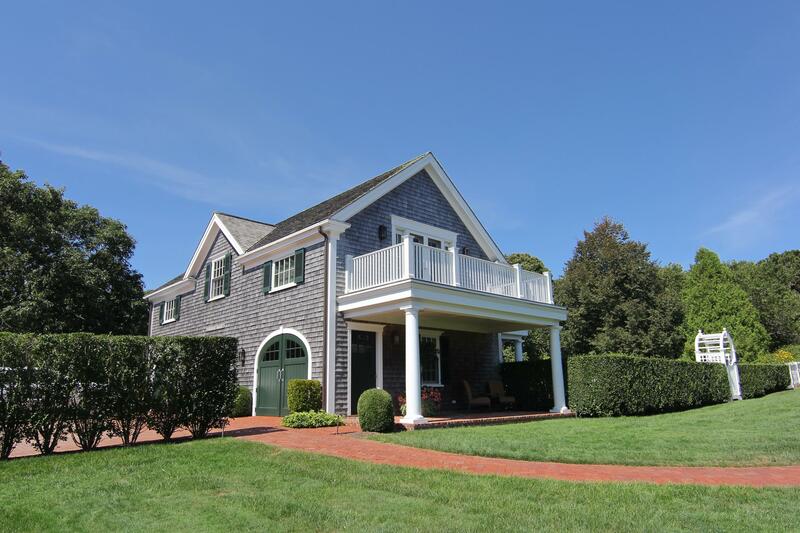 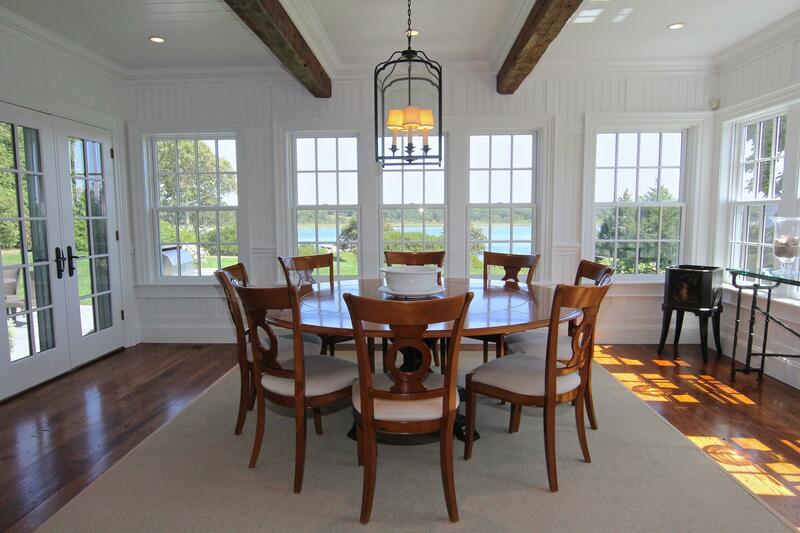 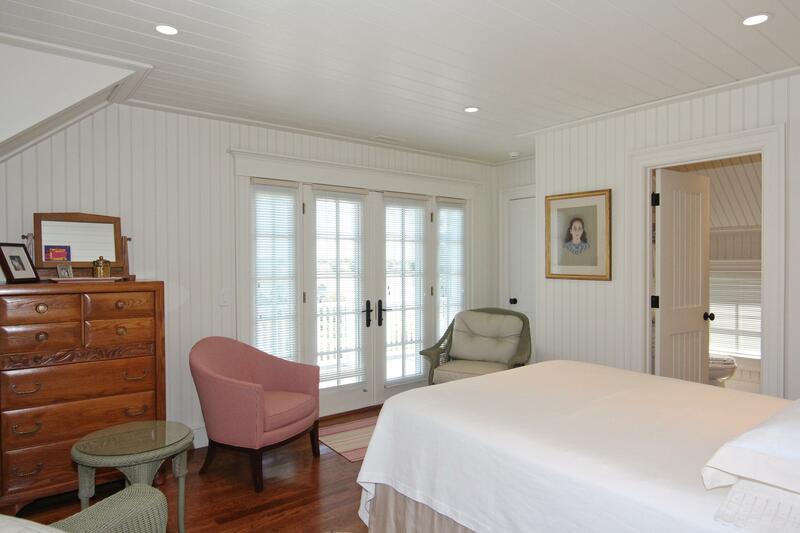 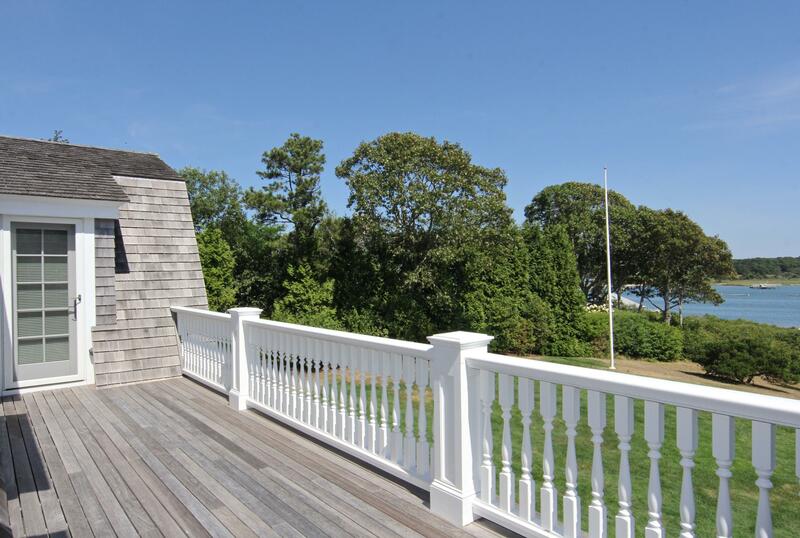 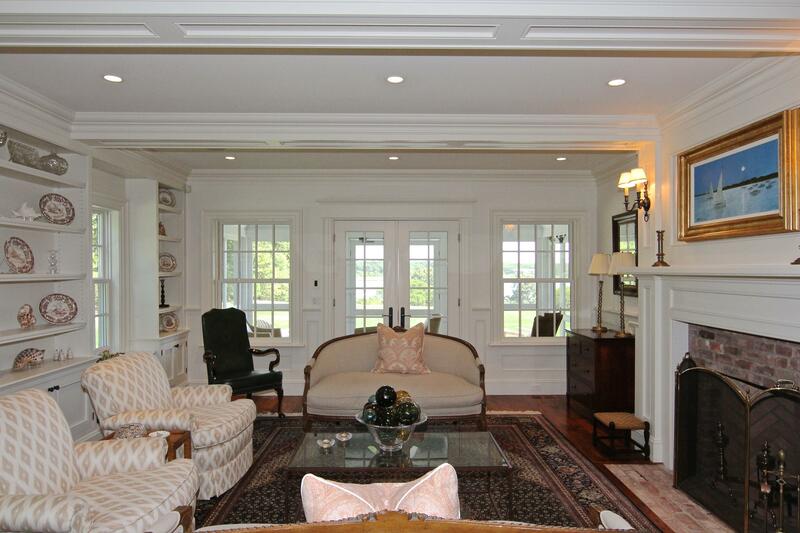 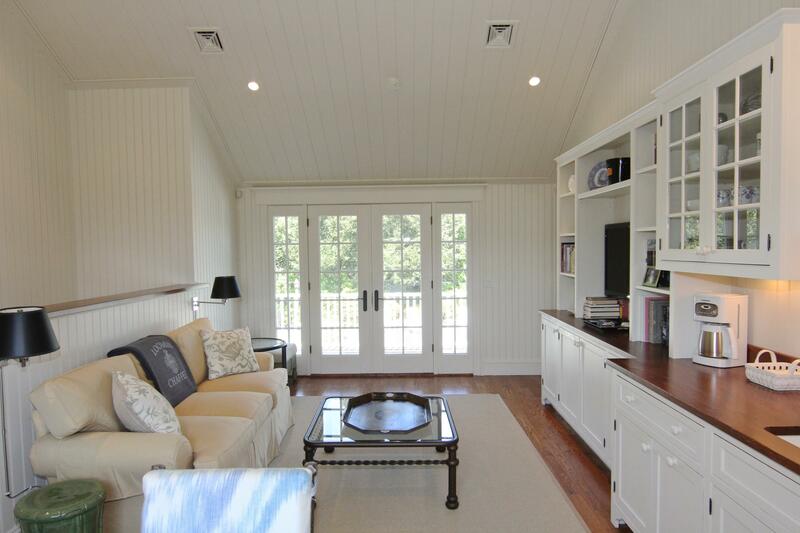 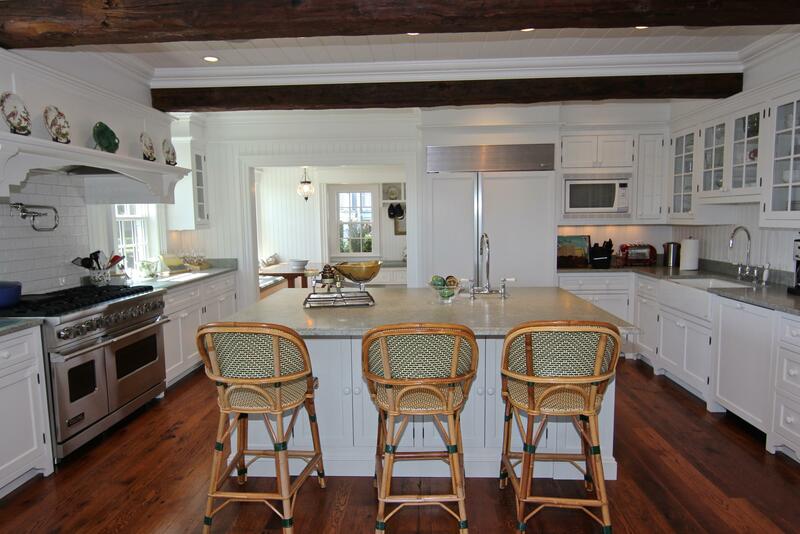 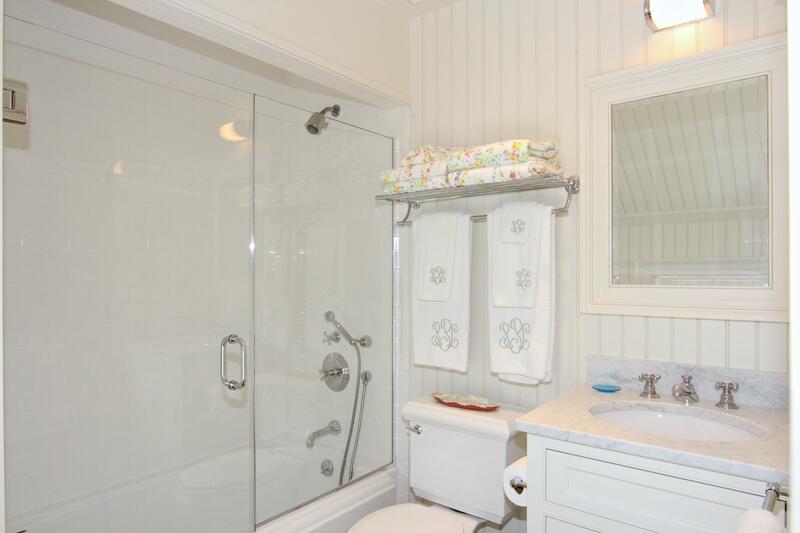 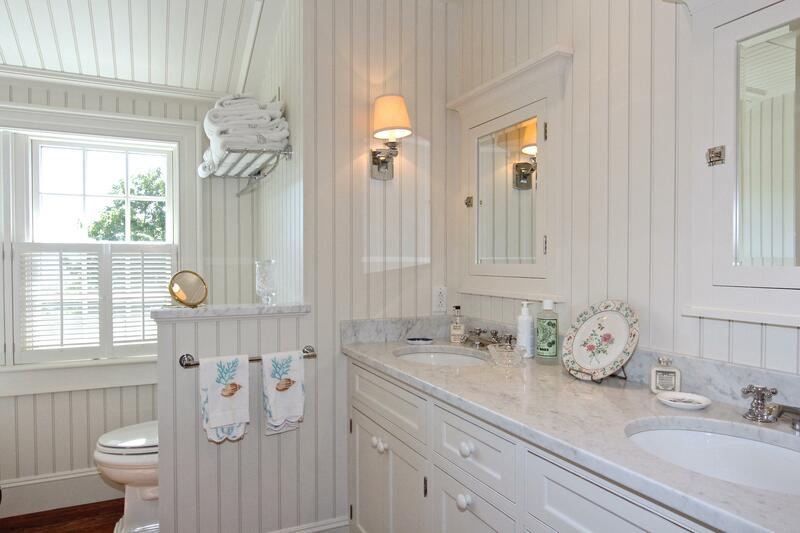 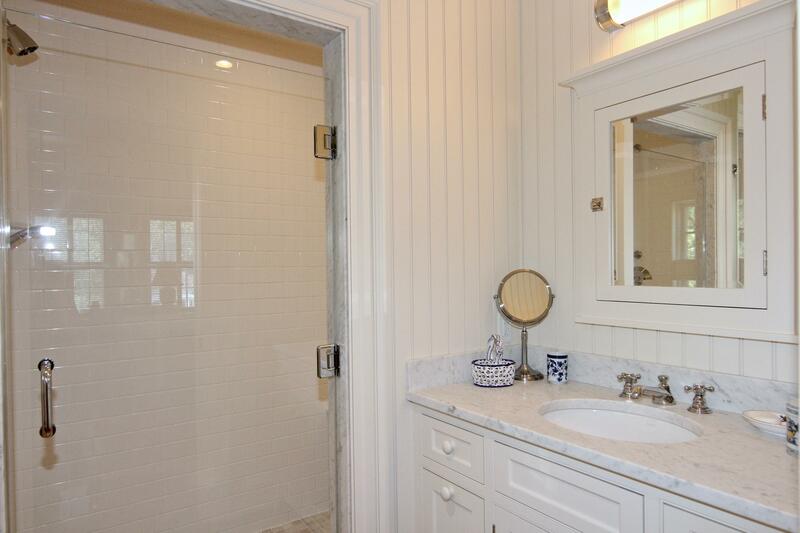 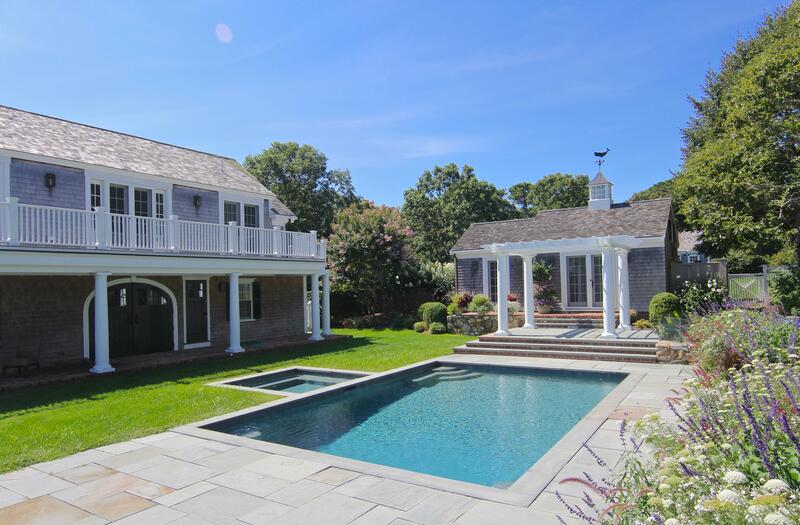 This property is located 1 mile from downtown Edgartown.